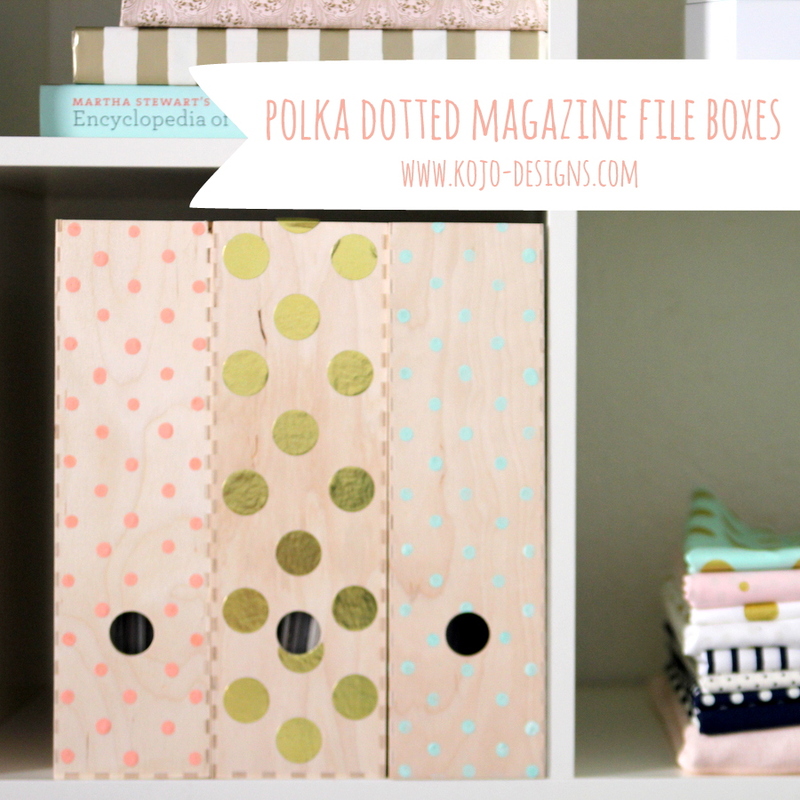 These polka dotted magazine file boxes were one of my favorite DIY projects that I made for my sewing room. 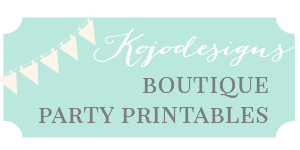 They’re so easy to make, uber functional (the perfect spot for my pile of instruction manuals and other useful, but not pretty, items! 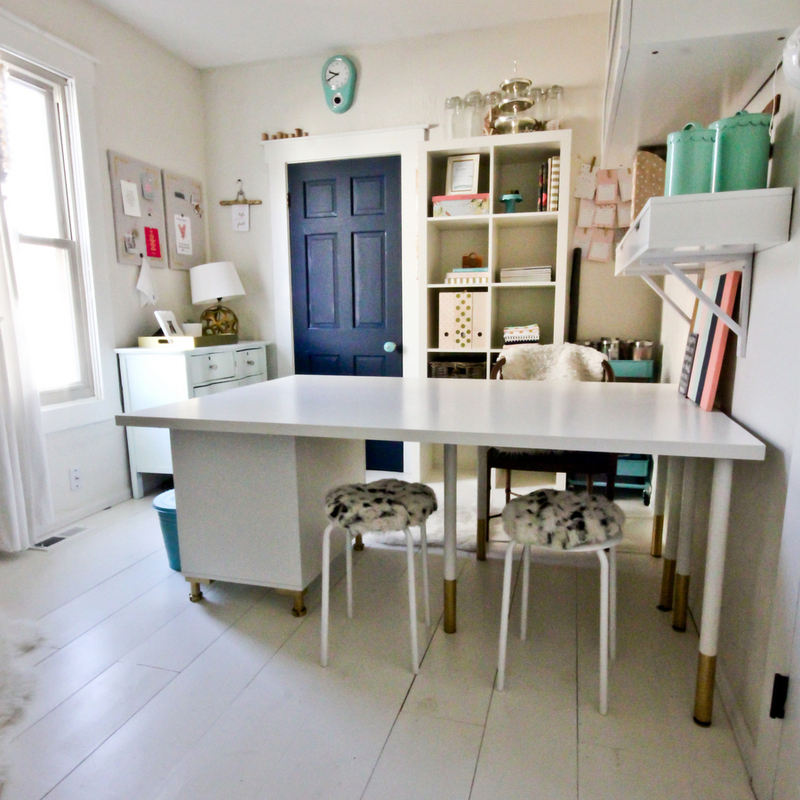 ), and the polka dots are perfection! 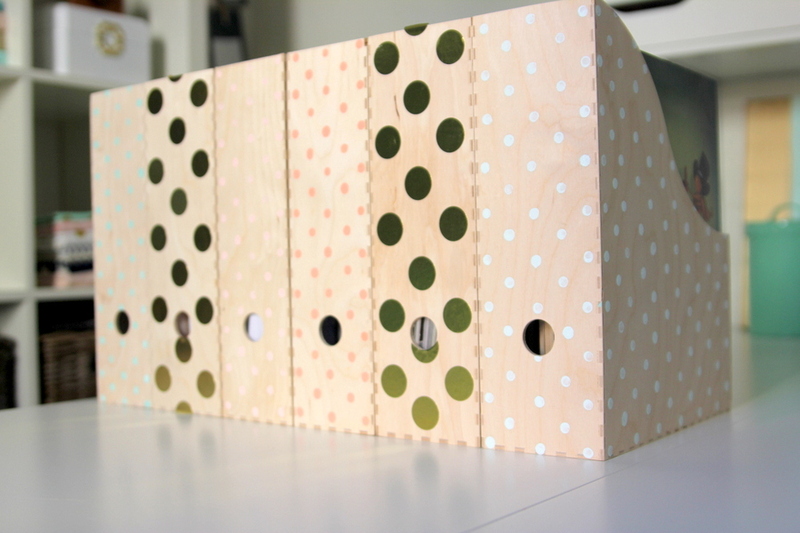 To make the painted boxes, I marked out evenly spaced notches on wooden magazine file boxes (from Ikea) and just dotted a dab of paint onto the notches with a pencil eraser. 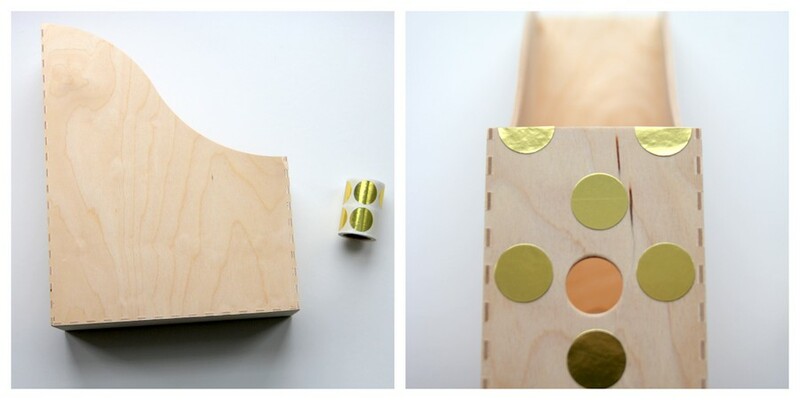 For the metallic dots, I marked out the pattern and then covered my notches with gold foil stickers.